This year for my 2nd Women's Retreat on Nantucket, I teamed up with my oldest and dearest friend, Steph Zabel, for a combo Yoga and Herbal focus. We convened on a Friday evening through Tuesday morning over the true start to Summer weekend out at our quaint cottage in 'Sconset--Nantucket Island. 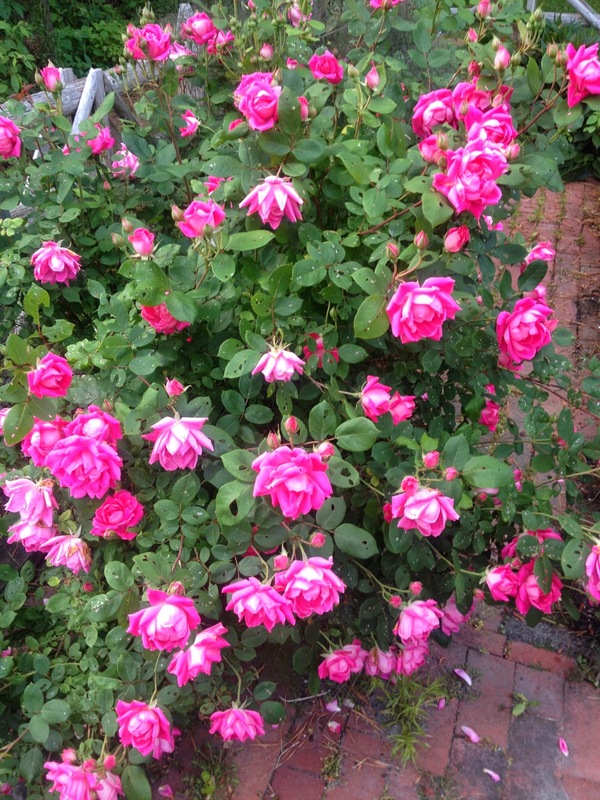 A most glorious time of year to do so…as the roses of all kinds were abound! The Universe granted us with a most perfect long weekend of weather. Yin-Vinyasa-Yin practice. I find, especially for a retreat setting, that this welcomes the much-needed self reflection and self love that everyone is searching for. What a special time it was for me to get to do so at being 8 1/2 months pregnant! I am so grateful to the group for trusting in me to guide them through not only the practices during this time but also the weekend of ritual, meditation, meals, conversation, fun activity, and friendship. I get so much joy and growth out of doing so that I can't even put it into words. This is the work that I love organizing and putting forth. Reminding everyone of their own magic (especially women!) and honoring the unique beauty within each of us. Huge thanks and shout-out to my oldest and dearest, Steph, for being my co-leader and our superb herbal guide! This was a dream for us to get to team up in this way and it's just the start of many more collaborative retreats and projects. Stay tuned! Claudia of Ambrosia Chocolates & Spices (your chocolates provided an experience for all), Lindsey & Caleb of Faraway Farm (amazing yogurt and eggs, and picnic spot! ), Sandy-Thai Massage Nantucket (a true healer of light), Kaity of Fare Isle Organics (delicious preserves for our breakfasts, and bread & cookies), and my in-laws! We cooked with local, healthy ingredients throughout the retreat. Yum! Picnic on a friend's farm made for a perfect relaxing Sunday. Steph's 2nd class helped everyone create their own intuitive tea blends. 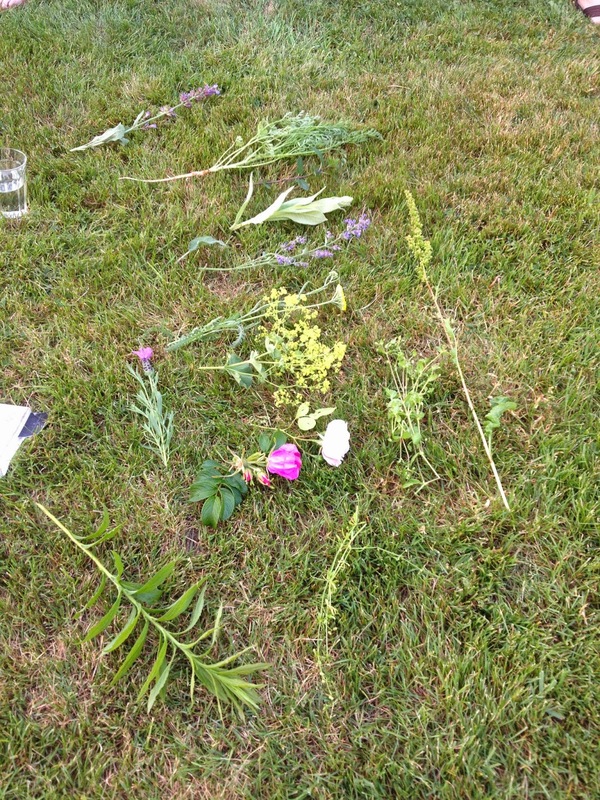 The final herbal class was learning about flower essences! We created a Beach Rose flower essence for everyone to bottle up and take home. Steph and I getting ready to lead the ritual. Our beautiful group. SO much love to you all. We will always remember the magic of this Summer Solstice 2014.